A UNITED VIEW ON FOOTBALL: Talent Ready For The Step Up? 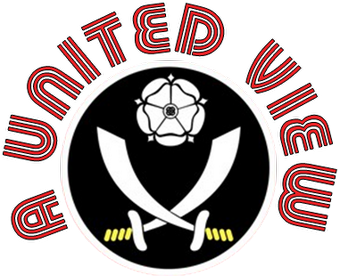 Today I was drawn to a tweet from fellow Blade and Guardian football journalist John Ashdown, which mentioned that he was judging the Football League Awards 2011. It set me thinking as to where my votes would go. The awards were established in 2006 and cover a wide variety of categories rewarding fans, community programmes, matchday programmes, stadia, sponsorship, sportsmanship as well as the players. Awards are given to the best player in each division, the best young player and the best apprentices in each division. Success has often been an acknowledgement that the player concerned is ready for the step up in division. The first Championship Player of the Year, Phil Jagielka, has since gone on to Everton and international recognition. The Young Player of the Year in 2007 was the much touted Gareth Bale. And the 2008 League 1 and 2 players of the year Jermaine Beckford (then of Leeds) and Keith Andrews (then playing for a South Midlands franchise) now find themselves at Premier League clubs. Some struggle to have an impact when their team steps up a level, Sylvain Ebanks-Blake the 2009 winner being a good example. Others were realistically Premier League quality players who remained loyal as their club went down; Kevin Nolan (2010 winner) and Kevin Phillips (2008). So, who would I choose? I have limited my choice to the Championship, it has taken me long enough to narrow down my list as it is. I also find things like this difficult to assess often because of when they take place. Do you include performances in the latter part of last season, or just this season to date? If you included the early part of 2010, a player who would be up for consideration as Championship Player of the Season would be Darren Ambrose. His dynamic goalscoring performances were a key factor in Crystal Palace's survival, yet this season he has made just 10 starts due to injury. So, to keep this as simple as possible, my candidates listed below are based on this season to date. Below I have selected my top three. It wasn't easy and I have based it on live performances and TV viewing. Before explaining why I selected each one I have a few honourable mentions. Ashley Williams (Swansea) - a rock in the centre of their defence and shows a level of maturity and leadership beyond his 26 years. Danny Graham (Watford) - Made a decent transition from League 1 with Carlisle to Championship last season, with 14 league goals. Already exceeded that total this and formed a great partnership with Marvin Sordell. John Oster (Doncaster) - In an attacking Doncaster line up alongside Hayter, Sharp, Stock and Coppinger, he has stood out due to a combination of work rate, skill and a demand to have the ball and take responsibility. Adam Hammill (Barnsley) - Now in the Premiership with Wolves, he successfully built on his previous loan spell at Oakwell with commanding performances in midfield, a good eye for goal and a cracking shot. It will be interesting to see how Barnsley cope without him and how he settles into a struggling Premier League side. Luciano Becchio (Leeds) - I remember Leeds supporting colleagues telling me last season, "Forget Beckford, Becchio is the one we are worried about losing". Now I can see why and he is well on his way to exceeding the 17 goals scored in League 1 last season. I have to admit to having little positive to say about Jay Bothroyd prior to this season and although he has certainly improved his all round game, I feel his England cap was more due to the dearth of English forwards, than Bothroyd's international capabilities. Where he has proved to be more than capable is in the Championship and for a striker who could legitimately be described as a journeyman at 28 and whose previous best season comprised 13 goals he has been in a rich vein of form. 14 league goals to date, in just 18 starts, and he suddenly looks much more incisive in front of goal. Whereas once he would look for the spectacular, only to see it fired high and wide, he is now finding the net. Certainly playing alongside Bellamy and Chopra and a supply line from Whittingham, Rae, Burke et al helps his cause, but the fact that he has outscored Bellamy and Chopra combined says a lot for his achievement. Never short of self belief that to me seemed to belie his abilities, maybe the increase in quality around him has made him a little more grounded? 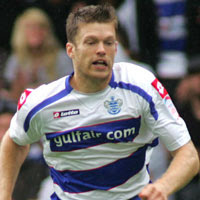 Following his move from Plymouth in May, Mackie made an instant impact at Loftus Road. When seen in the green of Argyle he never looked the most skillful player, nor was he a prolific goalscorer. For what was an anticipated seven figure fee, QPR fans would have been right to be concerned as to what kind of striker they were signing. What they got was a hard working, committed striker who, when surrounded by better players at big-spending Rangers, hit the most prolific period of his career in the early part of the season. Although the scoring run did dry up a little, he continued to play a key role in maintaining Rangers' position at the head of the table and had gained his first Scotland cap, before he suffered a double leg fracture and a gobful of bile from El Hadji Diouf in the cup tie at Blackburn in January. Sometimes the stats say it all. Top scorer with 13 goals, top of the assists table with 11. Adel has played a part in over half of QPR's 45 goals. Probably the most exciting player in the Championship he captivates and frustrates in equal measure. His goalscoring record created by 97 shots, proving the old adage - if you don't buy a ticket, you don't win the raffle. Just as likely to try the hardest of three passes when the simplest would suffice, yet when it works the results are stupendous. Take his through ball for Wayne Routledge's winning goal vs Coventry. Tight on the left touchline, just over halfway, with a Coventry player tight to him. He dug out a ball with the outside of his right boot that swerved, dipped and landed on Routledge's boot on the edge of the box. One touch and swept past the on-rushing keeper.Magic. Players like Taraabt can often be accused of drifting in and out of games, yet QPR can accept that when he still contributes at the key moments, as the stats show. But when in the mood, as he was at Bramall Lane on 14th August, he can take control of a game and tease you and torment you. He scored a penalty, QPR's third goal, on 23 minutes. He was pulling all the strings to the extent that QPR were able to bring him off after 68 minutes. Proof Neil Warnock does have a sympathetic side. Taraabt, for me, is the best player in the Championship. The Young Player of the Season is much harder to judge. The Championship is wash with young loanees from the Premier League, it feels like the proportion is increasing year on year. Many of these players have impressed me when I have seen them this season. Cameron Stewart (19) of Hull City (Manchester United) looks a raw prospect with plenty of pace. If anything it's his final ball which lets him down, but the speed of footwork as much as his athleticism causes a handful for opposition defences. Josh King (19) of Preston North End (again Manchester United) looked a great prospect, in his first spell away from Old Trafford, but in a struggling side his 7 appearances brought a nil return, but not without a great deal of effort and application. I have made my views on Kyle Walker (Spurs player loaned to QPR) known elsewhere on this site, but it's clear that his arrival on loan enhanced an already rock-steady R's defence. The award is not aimed at loanees however and focusing on players owned, rather than loaned, by Championship clubs, there are two candidates that immediately spring to mind. Although Danny Graham is taking a majority of the goalscoring plaudits at Watford and rightly so; the impact of Sordell, given his first real run in the first team, is hard to ignore. One of several Vicarage Road academy products breaking through, he had spells on loan at Wealdstone and then Tranmere before getting his League chance at the end of last season. 13 league and cup goals from 22 starts this season is reward for a player who has formed a great strike partnership with Graham and helped his club be the division's highest scorers and taken them to the brink of the play offs. He runs the channels very well and works hard for his team and strike partner. Equally comfortable shooting from outside the box as close in, it was a high stretch of the leg and a controlled finish from close in that saw him seal a win for Watford at Bramall Lane in October. If he continues to apply himself and works hard to improve, as Malky Mackay acknowledged he did in the Summer he has a future in the Premier League. After many spells out on loan and after displaying quality forward play in most of them, I found it surprising to see his permanent move out of Chelsea was to end in the Championship. An initial £500,000 seemed like a bargain fee for a player who, on his day, can tear teams apart with quick feet and quality wing play, yet can play down the middle and finish opportunities with great composure. The fact that his old academy boss at Chelsea, Brendan Rogers, was in charge aided Swansea's cause and he has seen his former charge net 12 league goals (17 including cup) so far this season. Not bad for a player classed as a midfielder. Yet it's Rogers decision to play him on the left side of an attacking trio in a 4-3-3 formation that is paying dividends. His first England Under 21 cap was picked up in November and you cannot help but feel that Premiership football will follow shortly, either with Swansea or elsewhere. It would be difficult for me to pick between the two. 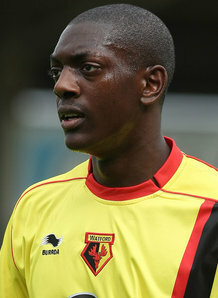 Sinclair was much more of a known talent and for that reason I will go for Sordell given the impact he has made. These are just my opinions and based on what I have seen of the players this season. Those of you have seen more of these players than me may have a different opinion and, if you do, please share it below. It would also be great to hear opinions on League 1 and League 2 as well, I feel less qualified to comment on those. We will then have to wait until the winners are revealed to see how accurate our assessments are. Would add Stephen Caulker of Bristol City (on loan from Spurs) to that list. The first player we've had since Andy Cole that most fans agree will go on to play for England. Came into side when we were bottom, amazingly assured and composed for a 19-year-old. I think Taarabt has been the player of the season thus far in the Championship by an unusually large distance. Others I would mention would be Andy King of Leicester, Reading's Matt Mills, Will Buckley of Watford and Robert Snodgrass of Leeds.